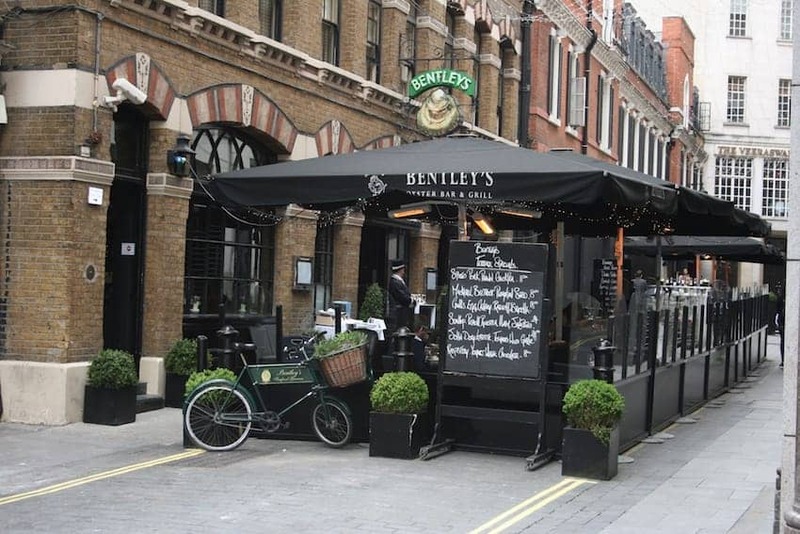 Bentley's has been serving fish since 1916. The informal Oyster bar downstairs is a convivial and atmospheric room, a popular drop-in haunt for visitors to the theatre district nearby. Oysters, native shellfish, raw and classic fish dishes are all on the menu. Considered by some to be one of the best outdoor dining areas in London, there is plenty of people watching to do up and down the street as it connects Regent Street to Piccadilly. More formal is the grill restaurant upstairs. Alternatively, visit the outpost Bentley's Sea Grill where you sit up at the bar in Harrods Food Halls.